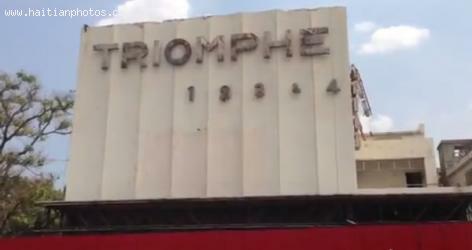 Cine Triomphe, one of Haiti's most popular cinemas has been acquired by the Haitian government. For years, the cinema has been a popular entertainment place for Haitians. The owner of the cinema was invited by the government to place a bid. Cine Triomphe will be renovated using $10 million Petro Caribe funds and will be renamed as Centre Culturel du Champs-de-Mars.